The Henry Art Gallery, University of Washington in Seattle, WA: The Library of Black Lies, Formation Association's collaboration with artist Edgar Arceneaux, is exhibited at The Henry Gallery, the art museum of the University of Washington in Seattle, positing that one cannot be trapped in the passive acceptance of history, rather must make infinite new books, systems, and proposals for future meanings. 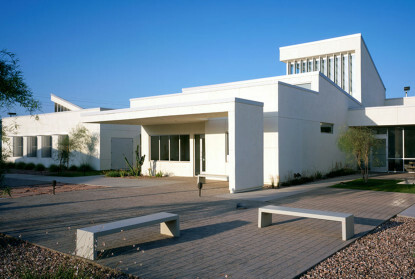 Formation Association wins lead design architect commission for the new campus of Fuller Theological Seminary in Pomona. Incorporating master planning and programming phases, the project will be designed by the collaborative team 'Formation Association with CannonDesign'. 1555 Sunset Blvd opening, Los Angeles, CA. Mitch O’Farrel, Los Angeles CD13 Councilmember, inaugurates the opening of Formation Association’s project 1555 Sunset Blvd, a 6,700 s.f. adaptive reuse commercial community. The Library of Black Lies, Formation Association’s collaboration with artist Edgar Arceneaux, is exhibited at the Yerba Buena Center for the Arts. A library and a labyrinth, the project is a meditation on African American identity in which people of any culture can find themselves at the center. Flora-Gato, Formation Association’s cat shelter in the form of a biomorphic trellis, graces the cover of Dezeen. John K Chan, Formation Association’s Design Director, moderates discussion panel for the opening of ‘Define Gravity’, curated by John Silvis at the Ahmanson Gallery. The conversation unpacked the essential nature of sculpture to both ‘define’ and also ‘defy’ gravity, with panelists Mary Leigh Cherry, Nathan Mabry, Lynn Aldrich, Hermione Allsopp, and Meg Lipke. 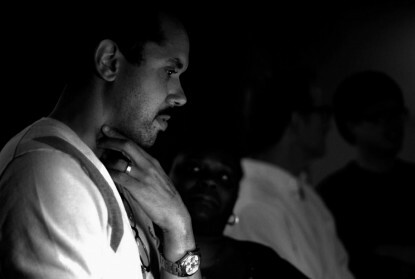 The Library of Black Lies, Formation Association’s collaboration with artist Edgar Arceneaux, is exhibited at the Main Museum. A library and a labyrinth, the project is a meditation on African American identity in which people of any culture can find themselves at the center. Formation Association’s Flora-Gato exhibited at the Herman Miller Showroom, a contribution to the non-profit Architects for Animals event, 'Giving Shelter 2017’ Flora-Gato is a biomorphic trellis structure which serves both as cat shelter and landscape seating for volunteers. A collaboration between Formation Association, Terremoto Landscape, and Arktura. The Library of Black Lies, Formation Association’s collaboration with artist Edgar Arceneaux, is exhibited at the MIT List Visual Arts Center. A library and a labyrinth, the project is a meditation on African American identity in which people of any culture can find themselves at the center. Formation Association’s Cat-à-Tête exhibited at the Herman Miller Showroom, a contribution to the non-profit Architects for Animals event, 'Giving Shelter 2016'. A cat shelter which doubles as volunteer seating, Cat-à-Tête frames an inter-species dialogue between cats and humans alike. A collaboration between Formation Association, Arktura, and Buro Happold. 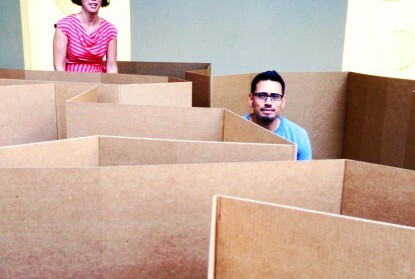 MAS / Long Beach Mobile ArtSpace wins Progressive Architecture Award. Formation Association’s collaboration with Steve Roden, 64North, and Buro Happold. The Library of Black Lies, Formation Association’s collaboration with artist Edgar Arceneaux, is exhibited at the Mona Bismark Amercian Center in Paris as part of Wasteland, a group exhibition curated by LAND (Los Angeles Nomadic Division)’s Director and Curator, Shamim M. Momin. 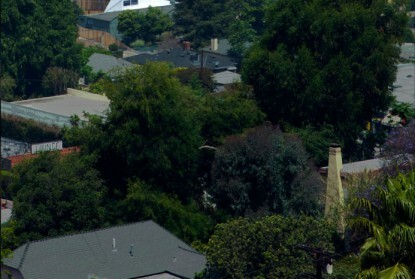 Pascualitos, Formation Association's first small lot subdivision project submitted to Los Angeles Planning Department. Formation Association begins collaboration with Los Angeles artist Edgar Arceneaux on Library of Black Lies, an architectural scale art installation project to be shown at the Mona Bismark American Center for Art & Culture in Paris, France. Formation Association begins collaboration with Productora, an architectural practice located in Mexico City, on the Fleischmann Residence. 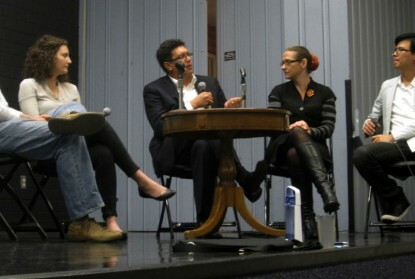 Formation Association Design Director, John K Chan, moderates a series of panel discussions throughout Preaching in a Visual Age, a conference produced by Fuller Theological Seminary exploring the place of preaching in our image-shaped world. 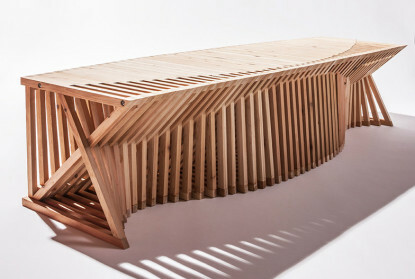 Architects for Animals, 'Giving Shelter': Formation Association's contribution, Crawlspace, exhibited at the Herman Miller Showroom. Formation Association featured in Archinect's Employer of the Day - Weekly Round-Up. Westfield Art Park artist team, along with Formation Association, unanimously and regretfully withdraw from Westfield Art Park project. Formation Association chosen to design the Westfield Art Park (Working Title), a publicly funded Art In Public Places project on the premises of Westfield West Covina. Selected with a collaborative artist team comprised of Edgar Arceneaux, Nery Gabriel Lemus, Formation Association, and Buro Happold, Los Angeles. 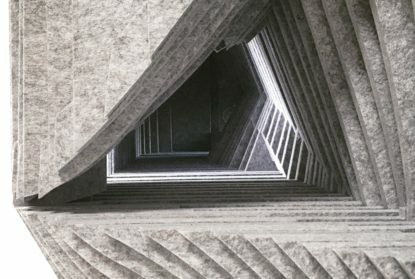 Formation Association selected by MAK Center L.A. to participate in the 'Schindler Lab' program, an ongoing series of installations pairing emerging art and architecture in Schindler's Kings Road House. Selected in collaboration with Los Angeles artist, Nery Gabriel Lemus. Formation Association wins AIA Long Beach/ South Bay Citation Award for MAS / Long Beach Mobile ArtSpace. Formation Association wins AIA / Los Angeles , Next LA Citation Award for MAS / Long Beach Mobile ArtSpace. John K Chan to lecture with artist Edgar Arceneaux of Watts House Project. 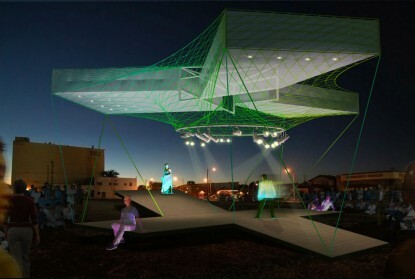 Formation Association wins competition for Mobile Arts and Architecture Project, organized by the Arts Council for Long Beach. Selected with collaborative team of Steve Roden, Formation Association, 64North, and Buro Happold, Los Angeles. Formation Association commences construction administration on Calaveras House. 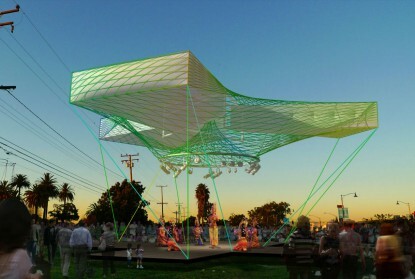 Formation Association selected as finalist for Mobile Arts and Architecture Project , organized by the Arts Council for Long Beach. 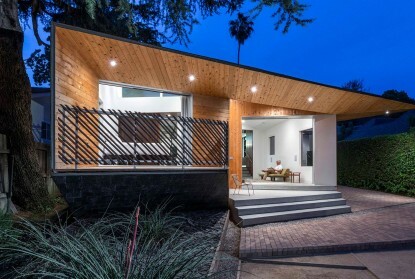 Edgewater House construction completed in Silver Lake. 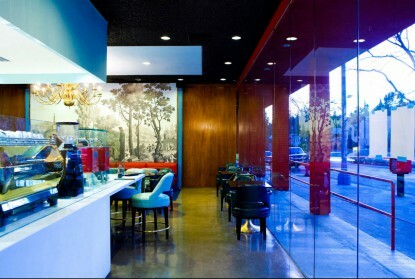 Formation Association wins 2008 Los Angeles AIA Restaurant Design Award for La Mill Coffee Boutique, in Silver Lake. Formation Association commences construction administration on Edgewater House, in Silver Lake. Yerba Buena Center for the Arts, San Francisco, CA: The Library of Black Lies, Formation Association’s collaboration with artist Edgar Arceneaux, is exhibited at the Yerba Buena Center for the Arts. A library and a labyrinth, the project is a meditation on African American identity in which people of any culture can find themselves at the center. 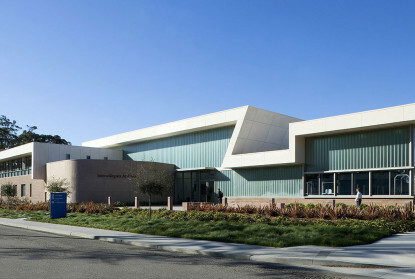 Main Museum, Los Angeles, CA: The Library of Black Lies, Formation Association’s collaboration with artist Edgar Arceneaux, is exhibited at the Main Museum. A library and a labyrinth, the project is a meditation on African American identity in which people of any culture can find themselves at the center. Herman Miller Showroom, Los Angeles, CA: Formation Association’s Cat-à-Tête exhibited at the Herman Miller Showroom, a contribution to the non-profit Architects for Animals event, 'Giving Shelter 2016'. A cat shelter which doubles as volunteer seating, Cat-à-Tête frames an inter-species dialogue between cats and humans alike. A collaboration between Formation Association, Arktura, and Buro Happold. 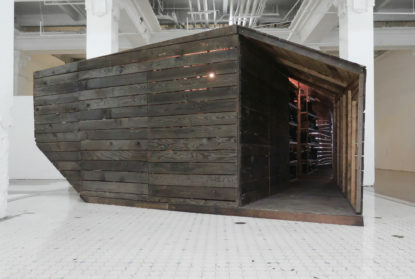 Mona Bismark American Center, Paris: The Library of Black Lies, Formation Association’s collaboration with artist Edgar Arceneaux, is exhibited at the Mona Bismark Amercian Center in Paris as part of Wasteland, a group exhibition curated by LAND (Los Angeles Nomadic Division)’s Director and Curator, Shamim M. Momin. 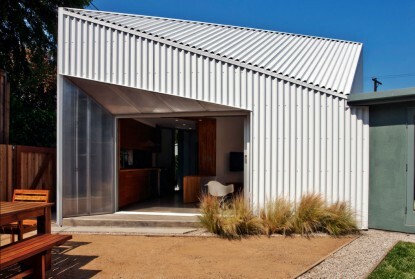 Edgewater Residence included in AIA Los Angeles installation at Dwell on Design, Los Angeles Convention Center. 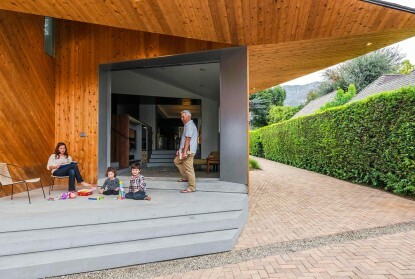 Calaveras Residence wins AIA PF 2016 Honor Award. 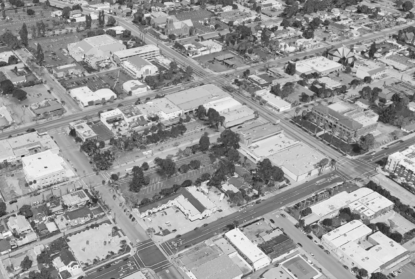 Arts Council for Long Beach awards Mobile Arts and Architecture Project to collaborative design team comprising artist, Steve Roden, Formation Association, 64North, and Buro Happold Los Angeles. Formation Association practices architecture as an expansive cultural enterprise emerging from investigation and reflection to transform our expectations of the built environment. their ongoing interplay across architecture, urbanism, and broader ecologies. Formation Association’s projects have been published by Phaidon to Architect Magazine, and featured in online design journals such as Dezeen, Designboom, Fast Company, and Divisare. The firm’s collaborations with artists have been presented in museums and cultural institutions both locally and internationally, from the Hammer Museum and the Orange County Museum of Art, to the MIT List Visual Art Center and the Mona Bismarck American Center in Paris. 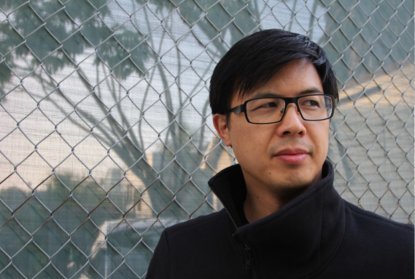 John K Chan, AIA, LEED AP, is an architect and founder of Formation Association, an award winning architecture and environmental design collaborative based in Los Angeles. After graduating from the USC School of Architecture, he worked in noteworthy Los Angeles offices building extensive experience in large scale projects across the United States and abroad, including public buildings, universities, and master planning. thousand-acre master plan development in West Bengal, India. As the Design Director of Formation Association, John has worked with creative clients on award-winning residential, commercial, and cultural projects. He has been invited as guest critic and lecturer at the architecture departments at USC, UCLA, Woodbury University, Sci- Arc and Tunghai University in Taiwan. In 2011, John was selected by the Biola University Art Department as its Visionary in Residence, investigating the convergence of art, architecture, and ecology within a larger cosmological framework. Environmental design encompasses a coordinated, multidisciplinary approach to the built and natural environments. The term 'environmental design' has pendulated in meaning over the last few decades between the anthropocentric concerns of immersive user experience and the ecological concerns of sustaining the biosphere. 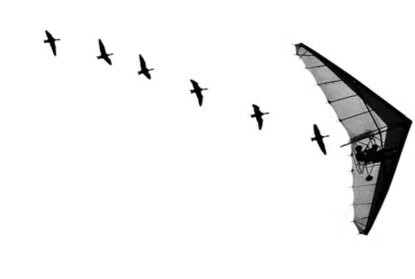 Formation Association pursues the hybridity between these two poles and, while our projects fluctuate in intensity between these aims¬, a more affecting convergence is highly sought. The collaborative framework pursued by Formation Association promotes an array of design approaches informed by the input of its collaborators, building a robust environment of project-specific dialogue and new utilities through chemistry. As such, we are averse to the lone auteur voice, promoting instead, a variegated ecology of design methods, proclivities, and abilities. We recognize that one size does not fit all and build our teams to address the unique project scenarios of our clients. Beyond the empirical metrics of sustainable ratings systems, environmental design is a comprehensive world-view and vehicle for communication, alternately emphasizing and nuancing how design impacts ecologies both immediate and distant. Importantly, the etymological origins of the term 'ecology' are from the greek word oikos (οἶκος), meaning house, or family, encompassing both structural and social frameworks. Formation Association endeavors to unite these meanings in both the built environment and the natural environment, of which we are inescapably a part. John K Chan was appointed the 2011 'Visionary In Residence' at Biola University, initiated by the Art Department. 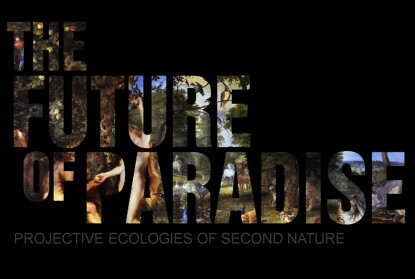 Dubbed 'The Future of Paradise', the residency took shape at the convergence of art, architecture and ecology, launching an interdepartmental conversation including faculty and students from a diverse cross section of disciplines including art, theology, environmental chemistry, and urban studies. Participating guest lecturers included artists Janet Owen Driggs, from The Metabolic Studio, and Edgar Arceneaux, of Watts House Project. developments are critical to dismantling the associations which leave ecological issues stranded amidst the poles of culture war posturing - developments on which sustainability in America will invariably hinge. Fuller Theological Seminary will be unified within an innovative new campus located in the City of Pomona, allowing Fuller to achieve a degree of interdepartmental interaction and collaboration not feasible in its existing Pasadena facilities. The new campus will be located immediately north of the growing Downtown Pomona area in proximity to public transportation and recently completed housing developments. Situated in an urban infill site, the planned facility will integrate within the existing urban context and create various new nodes of social activity for both Fuller and the local community. Organized in three primary departments, theology, psychology, and intercultural studies, the entire program of the seminary will occupy new classroom, assembly, workplace, and support spaces along with new facilities for alumni and current learners alike. Importantly, Fuller’s renown research library will be housed in close proximity to collaborative learning spaces and new facilities for PhD students. Leveraging Fuller’s growing embrace of educational technology, the new facilities will serve as a ‘smart’ new home for residential students and a virtual backdrop for the larger Fuller learning community across the globe. Fuller’s new campus is in early planning stages and designed by a collaborative architectural team lead by Formation Association with CannonDesign. 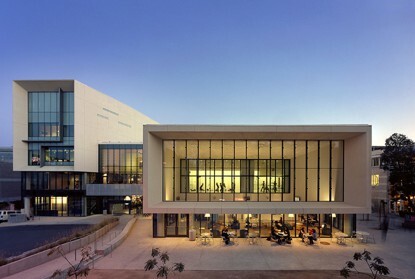 As Senior Design Leader, John K Chan's contribution to the UCSD Price Center Expansion ranged from early programming in coordination with UCSD's Master Plan and University Center Design Guidelines, to design and documentation. 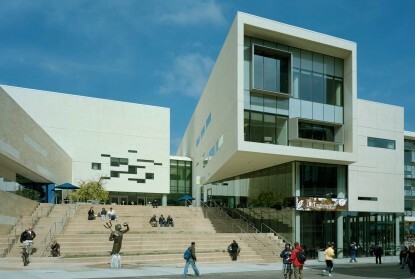 A major element of the UCSD capital program, the expansion project resolved issues of significant complexity on the quickly urbanizing campus and was recognized with multiple design awards, from organizations including AIA Los Angeles, AIA San Diego, and the Chicago Athenaeum Museum of Architecture and Design. Situated in the campus center of the University of California at San Diego, the original plan for the Price Center, was developed with an “introverted” configuration - a central courtyard bordered on three sides by all of the building’s program elements facing inward. Typical of retail planning strategy in the 1980's, this inward focus established a sense of place and a hub for dining, socializing, and events. 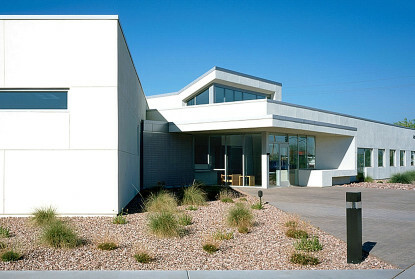 When the university’s growth and urban densification necessitated an expansion of the Price Center, the conceptual solution was to create an “extroverted” and permeable urban condition in which the remodel and addition offers many points of entry, enriching both the interior and street experience. The 172,000 sf Price Center Expansion significantly increases program, circulatory access points, and diversifies the range of interior and exterior social spaces. Notably, the expansion's perimeter negotiates its proximity with the UCSD Eucalyptus Grove, an important ecological component to the campus. In support of the university’s goal of achieving the equivalent of a LEED Silver rating, the project incorporates an array of sustainable design elements and systems. Project experience of John K Chan, AIA, LEED AP as Senior Design Leader at CannonDesign. 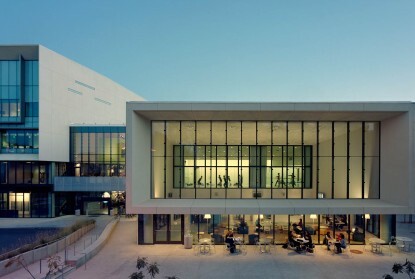 Among John K Chan's earlier projects as Senior Designer, the UCSB Intercollegiate Athletics Building involved John's leadership from Schematic Design through to Construction Administration. Utilizing locally made Ceramic Masonry Units (CMU) critical to UCSB's architectural character, the Intercollegiate Athletics Building was recognized with a Concrete Masonry Design Award by the Concrete Masonry Association of California and Nevada. 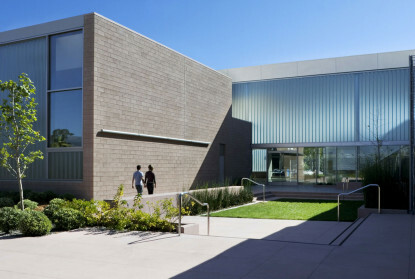 The new Intercollegiate Athletics Building on the UCSB campus consolidates the Athletic Department’s programmatic and symbolic presence in one building. Encompassing offices for both administrative and coaching staffs, student-life space, weight training, and therapeutic. Encompassing offices for both administrative and coaching staffs, student-life space, weight training, and therapeutic training facilities; the new 43,000 sf facility is situated adjacent to a future pedestrian thoroughfare connecting the campus’s north and south halves and creating a symbolic gateway between academic and athletic facilities. A palm-tree alée visually strengthens the connection between the IAB and the existing Robertson Gymnasium by creating a processional entry to the athletic fields and facilities beyond. Barbara’s regional vernacular and climate. Scale, color, and materials complement the existing gymnasium while offering a new and dynamic interpretation of the existing A sequence of courtyards and patios reflects Santa Barbara’s regional vernacular and climate. Scale, color, and materials complement the existing gymnasium while offering a new and dynamic interpretation of the existing architectural language, continuing the long, floating lines of the gym’s horizontal roof with a similar floating motif energized by new architectural activity. Congruent with the spirit of sport, the relationship between old and new is both competitive and respectful. 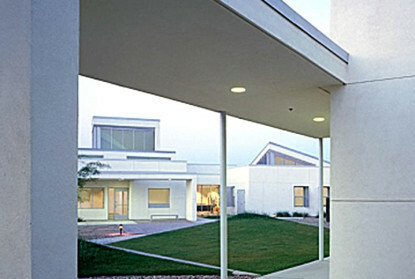 As Senior Designer of the Maricopa County Residential Treatment Center , John K Chan led the design of this unique project, demonstrating the restorative potential that architecture can effect for displaced youth. The project was nationally recognized with a Citation Award from the American Institute of Architects Academy of Architecture for Justice, the highest award in its category for the national Justice Facilities Review. visits. 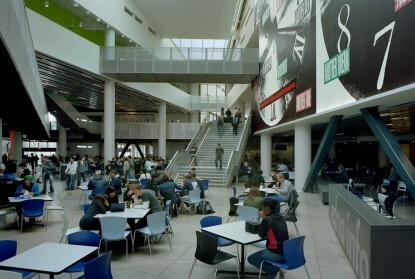 Across the courtyard, a third building contains the public entrance lobby, classrooms, administrative areas, and a smaller private courtyard for events. Security at the center is provided through direct supervision and low staff-to-juvenile ratios, contributing to a safe environment focused on restoration and education. from within, able to take on a range of atmospheres and effects, a beacon broadcasting within the community. Supporting a range of performance including opera, dance, and theater, the project is designed for maximum flexibility, reflective of its black box moniker. equipment and performers, creating a new backdrop for performance. Finally, when the performance is complete, the experience of the project continues: the box remains on site, a site-specific sound installation providing a layered echo of the multiple performances that have taken place. Taken in sum, the project builds on its mobile nature to create a continued narrative of transformation, combining minimal means for maximum effect. 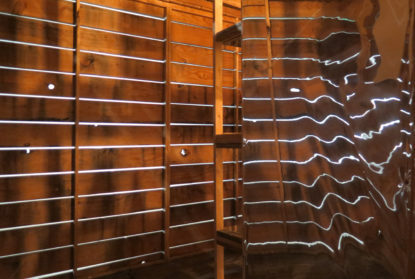 This architecturally scaled art installation is a library and a labyrinth, presenting a meditation on African-American identity in which people of any culture can find themselves at the center. The exterior polyhedral form is an enigmatic cabin-like form. It’s interior can be detected through the narrow slits and knotholes of its rough wood siding. The entrance into the library is a skewed trapezoidal hallway that begins to geometrically distort perspective and scale. Inside, the library erupts into a sensorial landscape of effects, induced by scale-shifts, geometry and reflective materials. Walls of shelving form a labyrinth of questions and reflection. The reading materials of this library, while ranging in subject matter from African-American studies to contemporary art ,all exist in a range of unreadable states: whether encrusted with sugar crystals or wrapped in garbage bags, suggesting that alternative forms of literacy are required to make this cabinet of curiosities legible. The environment oscillates between fun house effects and horror film aesthetics, a precipitous adjacency much like the conversation of race in America. triptych. This art project converging art and architecture has been presented at notable institutions such as The Mona Bismarck American Center in Paris, the MIT LIST Visual Arts Center in Cambridge, the Main Museum in Los Angeles, and the Yerba Buena Center for the Arts in San Francisco. Following 'Collapse Construction', an installation workshop at the Hammer Museum in Los Angeles, 'Amazing Corrugation' challenges participants of varying ages to explore the labyrinthine possibilities of 1,000 linear feet of corrugated cardboard sheeting, collectively evolving an expansive sculptural landscape occupying the museum courtyard. 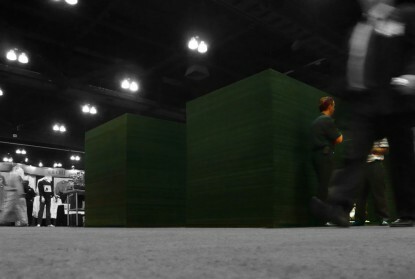 Standing folded cardboard sheets upright , multi-generational participants manually modify cardboard sections up to 20' long, simultaneously coordinating movement and improvising spontaneous games among other visitors in an unfolding spatial experience made in their trail. 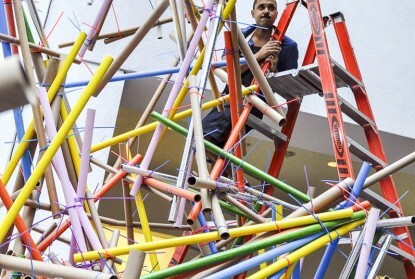 An installation workshop at the Hammer Museum in Los Angeles, 'Collapse Construction' is a toolkit for large-scale creative-play comprised of cardboard tubes and zip-ties. Multi-generational participants both younger and older collaborate on structural shapes individually and then collectively, aggregating their work into an emergent sculpture stacked-up beyond the museum's courtyard mezzanines. Upon completion, the temporary sculpture is immediately and eagerly pulled down by the very hands that made it - crashing to the ground, then, built-up again, in a creative cycle of collapse and construction. 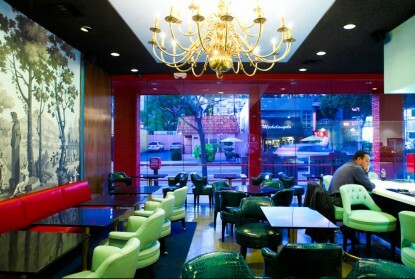 The flagship retail destination of its namesake coffee roaster, the La Mill Coffee Boutique is a concept cafe and restaurant in the eclectic Los Angeles enclave of Silver Lake. Unifying multiple storefronts in an existing commercial building, the La Mill Coffee Boutique employs a newly glazed elevation to amplify its street presence and captivate passers-by on this intimate and well-walked commercial stretch of Silver Lake Blvd. activities of patrons produce an active, theatrical depth of field extending through the glass facade. The interior environment is an orchestrated visual collision between crisp minimalist geometries and the decorative flourishes of interior design collaborators, Rubbish Interiors. Ornate fields of baroque textures are juxtaposed against smooth isotropic surfaces. In combination, these divergent design proclivities assimilate into an attractive, unexpected dissonance that resonates with the eclectic energy of the surrounding neighborhood. La Mill Coffee Boutique designed in collaboration with Rubbish Interiors and project architect, Bung Ko. The Sungarden Tea exhibit subverts the accepted expectations of convention-floor design, trading the immediate recognition of signage for a progressive process of exploratory engagement, and in so doing, reaches new audiences in a novel and memorable manner. exclusivity while simultaneously inviting exploration. Operating against the visual overload common to trade-show convention halls, this enigmatic structure registers upon first encounter a discernable surprise from the typically desensitized convention-goer, drawn forward to touch the minimal, textured material. Unexpectedly, a next behavior observed of visitors is leaning closer to smell the exhibit, perhaps to further explore, beyond sight and touch, whether the exhibit is of synthetic or organic origin. enjoy both this oblique introduction and the opportunity to further develop business related conversations. 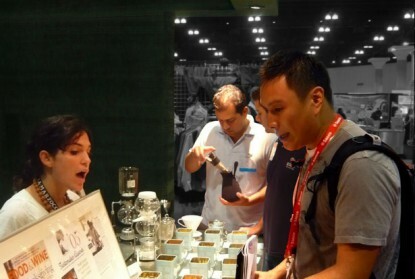 In this manner, the Sungarden Tea Exhibit engages visitors on an array of sensorial levels and contributes to the phenomenon of sticky marketing. Emphasizing social interaction, the exhibit programmatically enables conversations with Sungarden personnel via areas for product display, beverage serving stations, and semi-private conferencing. Stacked cardboard fluting surrounds these activities and is oriented for maximum sound absorption, providing a perceivable acoustic intimacy. Favoring conversational situations over signage, the lighting strategy creates a visible warmth on faces and hands in the areas where people talk. 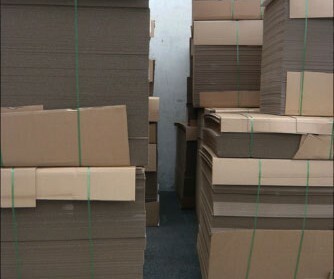 custom dye-cut cardboard sheets are lightweight and recyclable, addressing shipping and product end-of-life considerations. Stamped with a uniform array of holes to further reduce weight, the cardboard sheets are then sleeved over an arrangement of vertical plastic pipes, providing a lateral-lock to the loose-stacked material. Significantly, this strategy enables 96% of the cardboard walls to be free of binding adhesives. This development reduces off-gassing and, surprisingly, reduces additional weight related to adhesive application. surfaces of cardboard fluting. Being thoroughly treated, the hollow vertical cores of the cardboard walls are allowed to serve as electrical chases and allow lighting fixtures to discharge heat via overhead convection. Combining experiential, environmental, and technical initiatives, the Sungarden Convention Exhibit coordinates an array of design strategies to produce an integrated exhibit approach. Situated in the foothills of Altadena. this residential addition and remodel is nestled under the canopy of a mature Cedrus deadora (himilayan cedar). 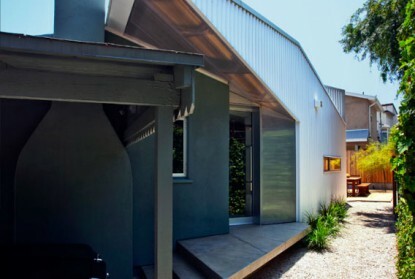 The addition architecturally negotiates existing site confluences - tree, old house, a detached garage. In concert with the 600 s.f. addition, the existing 1,300 s.f. plan is reorganized to yield a public sequence from front yard to back yard. achieved - the addition effectively shares the same space and microclimate effects of the tree canopy. Through large operable doors and clerestory windows, the cedar's presence is prevalent - its scent permeates inside and out. Adding a new family room and master bedroom, the new cedar-clad addition reframes the existing house and the garage. At the back elevation, a sectional shift delineates parallel columns of public and private rooms. The master bedroom projects out with a balcony, while the family room steps down to the back yard, initiating a sequence of steps and terraces toward the landscaping beyond. 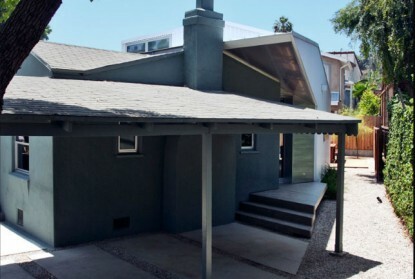 The Edgewater Residence is an addition and remodel in the eclectic Silver Lake neighborhood of Los Angeles. Despite its small scale, the 300 square foot addition functionally reorganizes the existing residence and rethinks relationships between the old and new, inside and outside, urban and domestic. agendas and facilitates natural ventilation. Its form looms over the existing ridge, contributing to the visual juxtaposition of the old and new. Richard Neutra’s VDL research house, the sloping embankments of Silver Lake Reservoir, an auto body shop, and a neighborhood Googie restaurant. This associative array of local urban phenomena inflect the formal and functional agendas of the new addition, acting as an experiential record of everyday urbanism and expanding the dialogue of the addition beyond private domesticity. 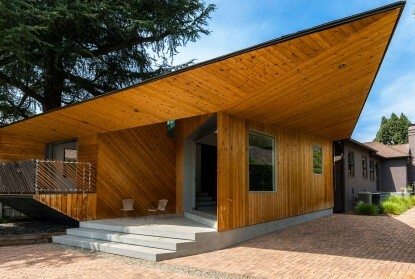 The entire structure of Cat-à-Tête employs a sustainable sheet material comprised largely of recycled plastic bottles - and is itself completely recyclable. Despite its constitution, the material is soft and possesses tactile properties similar to felt. in a continuous figure 8 circuit offering areas of rest, play, and observation. Alternating bays of material and open slots create plays of patterned light across the structure's textured surfaces. The binary pattern of Cat-à-Tête's serial construction points to the binary relationship between feral cats and humans - While the two may not directly cross-paths when visiting Cat-à-Tête, the structure's form suggests an on-going inter-species dialogue through repeated binary alternation. to ‘Architects for Animals: Giving Shelter’, an exhibit of architect-designed feral cat shelters. In collaboration with Arktura and BuroHappold. Crawlspace is a small shelter for feral cats which doubles as a bench for two or more people. Endowed with floating shoulder bones, cats are able to crawl through narrow spaces the width of their skulls. Leveraging the feline skeletal structure, Crawlspace forms an undulating lattice structure through which cats can escape their larger predators to find sanctuary. the structure simultaneously, its form suggests the association of both. 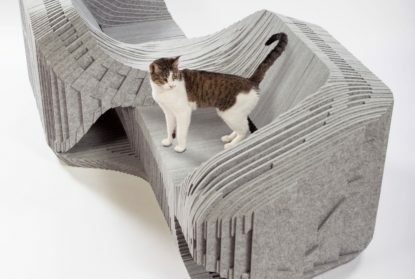 Exhibited at the Herman Miller showroom in Los Angeles, Crawlspace is Formation Association’s contribution to‘Architects for Animals: Giving Shelter’, an exhibit of architect-designed feral cat shelters.